U.S. nickels and half dimes… they may sound like different coins, but they’re both the same as far as the United States Mint is concerned. 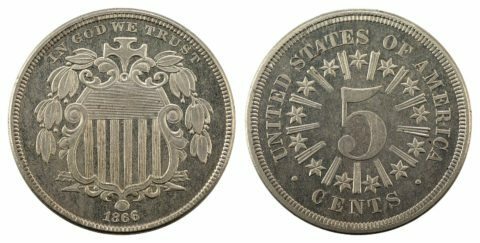 Half dimes and nickels saw many designs over the course of their decades of service. 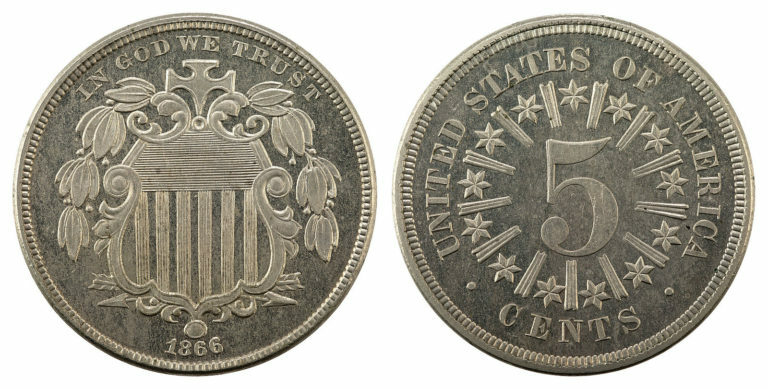 The half dime was the U.S. Mint’s answer to the need for a 5-cent coin during the 19th century. Wonder how much an old half dime is worth? You’re not alone. Many collectors want to know the values of their half dimes. Below is a list of half dime values from 1794 through 1873. *Values are for problem-free coins with no dents, holes, bends, deep scratches, artificial color, or signs of cleaning. Coins in grades lower than Good-4 or with signs of damage are worth less. Only some of the most important varieties are listed above. Half dimes can be challenging to collect, but they aren’t impossible — especially if you know the ins & outs of assembling a half dime collection. 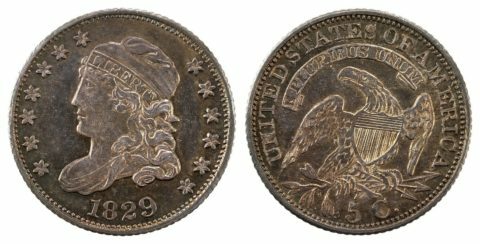 Collect half dimes by type — which means to collect a set of half dimes that includes the Flowing Hair, Draped Bust, Capped Bust, and Liberty Seated designs. Collect half dimes by date and mintmark — which is by far one of the most expensive and difficult ways to collect the half dime coin. 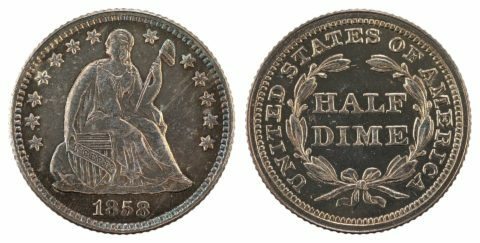 Collect Liberty Seated half dimes by variety — which entails collecting one example of each of the 5 major varieties. Collect proof half dimes — which generally cost about $300 and up apiece. 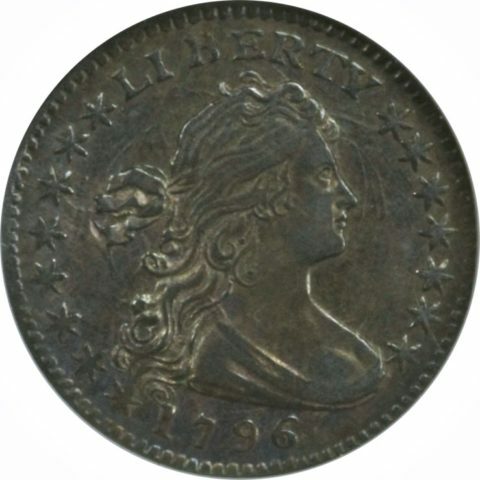 Here are more tips for collecting Early American coins from the 1700s and 1800s. While it can save money to buy off-quality coins, the best strategy for buying half dimes is to purchase the best pieces that fit within your budget. This can improve the odds that your half dimes will increase in value — because better-quality coins almost always perform better over the long term than poor-quality coins. It also pays to do some deeper research on which pieces are the scarcest — because some legitimately rare half dimes are actually quite affordable. This is in part because the demand for certain dates is much lower than more popular “rare” coins, such as the 1909-S VDB penny. 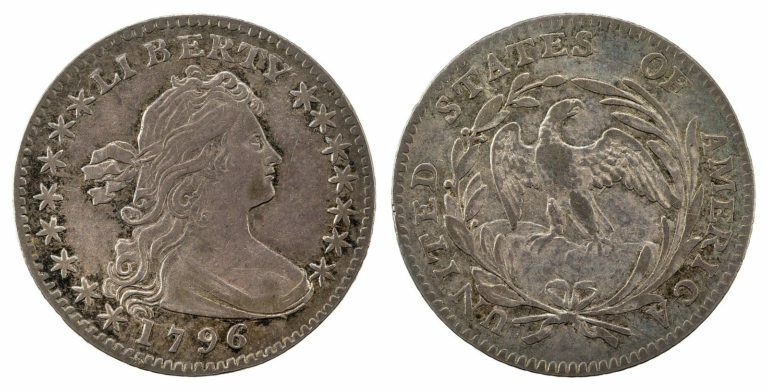 Case in point: the 1868 Liberty Seated half dime. Only 88,600 were made and perhaps only 400 survive, yet one can be bought for far less than $100 in circulated condition. Compare that to: the 1909-S VDB penny. A total of 484,000 were made, and perhaps 20,000 or more exist, yet they cost at least $500 in a grade of Good-4. In other words, if you know what you’re buying, you may score some really rare old coins for a fraction of the price of the rare coins you’ve probably already heard a lot about. Buy damaged or cull half dimes. While damaged coins may be of subpar quality (cleaned, holes, etc. ), they can help you fill holes in your coin albums at much lower prices than buying problem-free specimens. Buy half dimes in bulk. 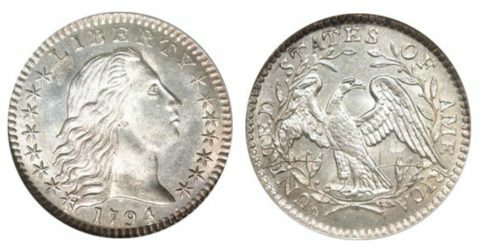 Some coin dealers offer half dimes and other 19th-century coins in large lots of a few, dozens, or even hundreds of coins — which saves you the cost of buying coins individually. Buy half dimes from auctions. When buying coins at a coin auction, you are likely to save money if few other people are bidding on the same coins.